About 100 Bald Eagle Area High School seniors were honored May 2 during the Class of 2018 Signing Day ceremony. The event was held to celebrate the soon-to-be graduates who have committed to continuing their education, are going into a branch of the military, have found full-time work or are graduating with additional industry certifications. 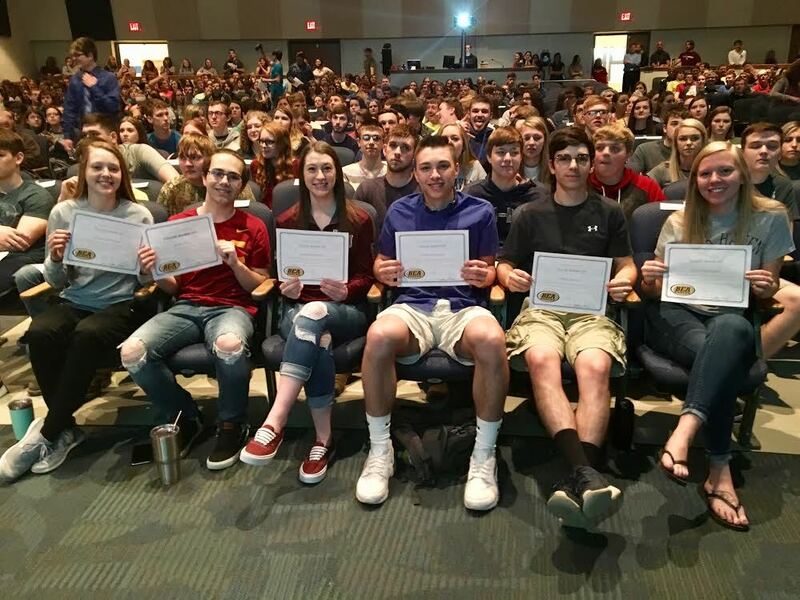 The event started with an all-school assembly where seniors were named one-by-one and walked the stage of the auditorium and collected a signing day certificate. Selected students who committed to college or who have been offered full-time employment following high school graduation were part of a separate celebration after the assembly with games, food and drawings for prizes.